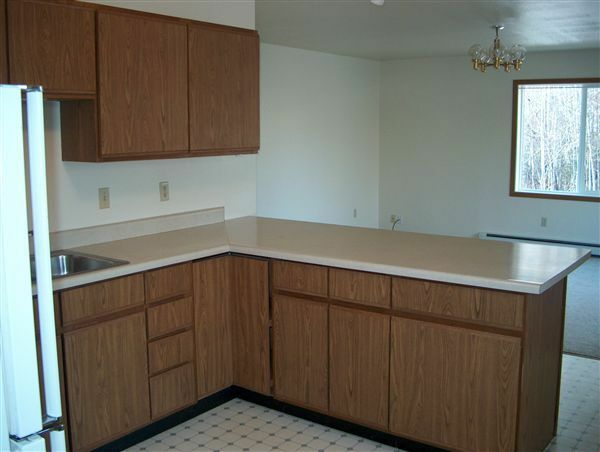 Kitchen with New appliances is open to spacious dining room. Large living room with wall opening for BIG screen TV. 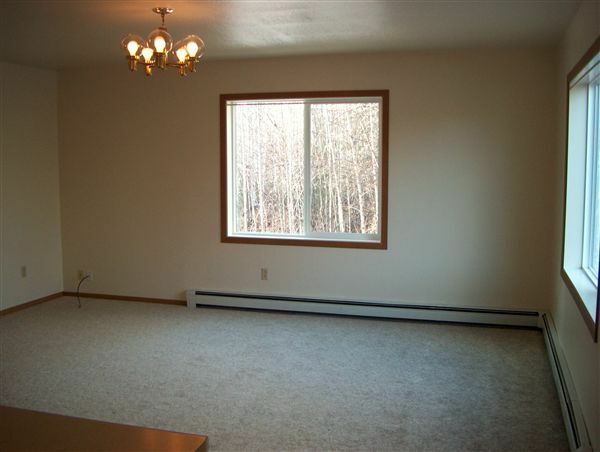 4 Bedroom/2 bath unit. Washer/dryer hookups in utility room within rental unit. Clean and well-maintained triplex. Landlord pays HEAT, does snow plowing and all maintenance. Building has a water purifying system and new windows. Large heated arctic entry for boot and coat removal. 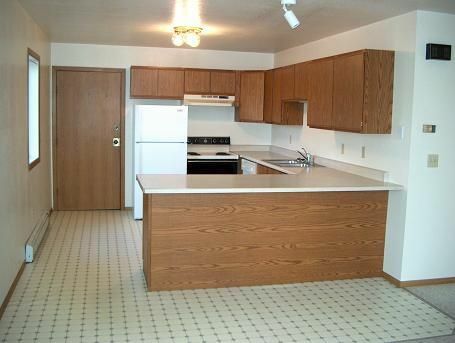 Open kitchen with eating counter to spacious living room. Floor plan allows for big screen TV or oversized sectional sofa. 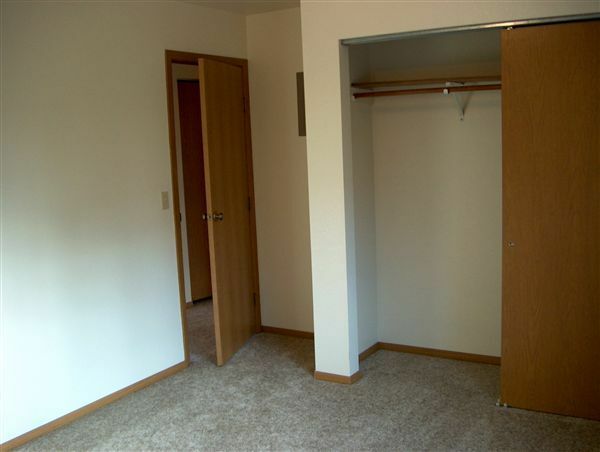 Large wall closets in bedrooms. Tiled tub surround. 2 bedroom units share washer/dryer (NOT coin-op, FREE laundry), 4 bedroom unit has it's own utility room with washer/dryer hookups. Cable ready. Very quiet complex only 1 mile from Eielson AFB Gate.